I recently attended the inaugural Copycon conference in Sydney run by and for copywriters and creatives. I’ve always walked between the worlds, so to speak – that would be the commercial and creative worlds – but found it difficult to be wholly focused on the business (read: invoicing/accounts) side of writing. I earn my living working in corporate communications but spend my down time living the creative life, so I was curious about how people are blending the two, and earning a living. There was a great line-up of speakers starting with the effervescent Kate Toon, event founder and chief cat wrangler (she said many wise things, so she’s getting her own post…Kate’s also got a new book out here – compulsory reading for copywriters). I particularly loved the sessions on Facebook Ads and SEO, so I may talk about them elsewhere. 2. Collaborate! The brains behind the Awards Agency, Melinda Leyshon, urged us to team up and work with big agencies (and each other), and to share in client success. Melinda has an amazing personal story of her transition into freelancing on the back of winning several business awards for her husband’s mechanics business. From there she has successfully carved out a niche helping companies write winning award entries. 3. Keep a tax savings account. And a log book. Think about GST. Sort your Super out. Karen Goad of Goad Accountants is a very sensible woman. While this advice may seem a bit ‘Freelancing 101’, it’s so obvious (and rarely practiced)! I certainly never kept a tax savings account when I was freelancing, it might have saved a few unnecessary heart palpitations around tax time every year. Oh, and don’t forget to pay yourself Superannuation. I know, so much adulting – why can’t we just create, create, create? I guess having a roof overhead and a crust of bread to gnaw on is important. 5. No matter what you do…it will still be better than your client’s effort. That’s why they come to you. Sage words, those, echoed by Kate Toon AND Divine Write’s Glenn Murray. People will pay for expertise and experience. Professional writers experience the jitters too – this was quite validating to hear. I’m pleased to say Copycon was such a rip-roaring success it’s going to be held again in 2018, so keep tabs on when and where over at Kate Toon’s website. First up, an admission – I’d never heard of Zoella until today courtesy of an article published in Salon.com, and tweeted by Porter Anderson, about the furore that has erupted around the authenticity of her new book Girl Online. I’ve immediately remedied this gaping hole in my general knowledge by watching 10 of her Youtube videos back-to-back, and browsing her website, www.zoella.co.uk. And can I say, sometimes research can be fun! I now know how to halo braid (in fact, I now also know how to do it milkmaid style – oohhh errr, missus! – and replicate the hairdo of Katniss Everdeen of The Hunger Games fame), make melted snowmen biscuits, and shop for the latest seasonal rags. Zoella’s sweet and cute and, not surprisingly, crazily popular with her young female fanbase. Her Youtube channel focuses on beauty and fashion and she recently published her first book. Only, according to some fans, she didn’t. 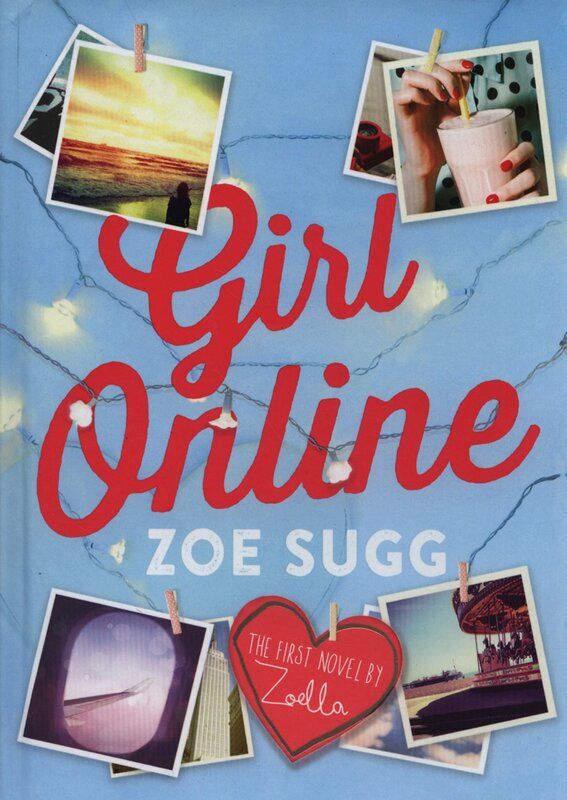 Zoella aka Zoe Sugg used a ghostwriter, apparently, to co-create Girl Online. And there’s absolutely nothing wrong with that. Nothing at all. It happens all the time in the non-fiction world, and when there is a great story to tell and the person at the centre of it is unable to put pen to paper – whether for reasons of time or skill – it’s the best option available. This is not an unusual state of affairs in publishing, and it can be a lucrative path for good writers. I’ve ghostwritten extensive swathes of text for many clients, as have author colleagues of mine. Zoella’s book Girl Online is a boy-meets-girl novel. A book she didn’t write – or at least didn’t write alone. Apparently Zoella is copping it hard from her fans right now. From my newly educated viewpoint, I think unfairly so. Ghostwriters are part of the fabric of publishing – in fact, if you believe the great Shakespeare conspiracy, even the Bard had some help in the verbage dept. Glamour model Katie Price certainly reaped big rewards with her ghostwriter, the late Rebecca Farnworth, and no one batted an eyelid – in fact, the writing partnership was something of an open secret. Farnworth authored 14 books in all under Katie Price’s name – no mean feat! It’s so easy for nastiness to go viral thanks to social media (thanks social media! ), and obliterate all of the things you might have liked or found redeeming about a person or situation when they fall short of the sort of strict moral code you’d never enforce upon yourself. In Australia we call it Tall Poppy Syndrome (and before the Internet – yes, I was alive then – I would have believed the cutting down of celebrities and anyone else who stuck their heads above the social ramparts was only an Australian past-time. Alas, it’s not.). As an entertainer she’s just doing her job – baring every little piece of herself to satisfy her hungry audience of fans. By having her novel ghostwritten, she’s given a great job to someone else. That someone being Siobhan Curham, who has found herself in the rather unenviable position of defending her work on Girl Online. Give her a break too, she was just doing her job as a ghostwriter. Zoella’s still the same charming self-made vlogger you all fell in love with. Final words must go to Siobhan Curham via The Guardian, who puts the whole storm-in-a-teacup beautifully in perspective: Curham noted that she “did have some issues with how the project was managed”, and that it would be “really healthy to have a broader debate about transparency in celebrity publishing”. “But please don’t blame Zoe personally for a practice that has been going on for years,” she wrote, pointing out that the huge sales of the novel, which is 2014’s fastest-selling book and which is sitting on top of the UK Official Top 50 for the second straight week, meant that “bookstores such as Waterstones are ending the year on healthy profits”, and that “Penguin, and many other publishers around the world, are now able to afford to offer more unknown writers book deals”. Fair point, however I don’t believe Zoe and Siobhan should be the scapegoats for an industry practise that is, clearly on this occasion at least, out of step with its youthful, social target audience.